The Catherine Wheel is a 17th century country pub in the historic conservation village of Marshfield. It’s just eight miles north of the Roman city of Bath (a World Heritage site) and 13 miles from the port of Bristol, named European Green Capital 2015. Marshfield stands close to where three county borders meet at Gloucestershire, Wiltshire and Somerset. This is at the southern gateway to the rolling Cotswold hills which is a designated Area of Outstanding Natural Beauty. 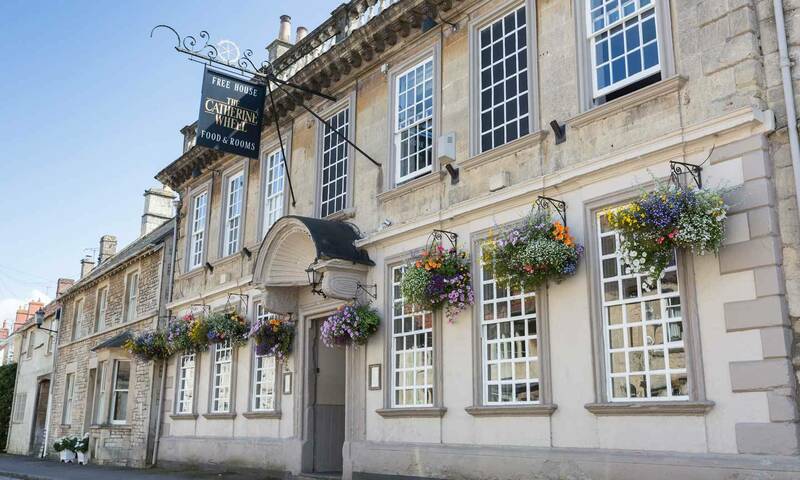 The Catherine Wheel is a good base for visiting other must-see attractions, such as the charming, unspoiled villages of Castle Combe and Lacock, as well as horse-racing at Bath and the world-famous Badminton Horse Trials. There are also many great walks in the area including the Cotswold Way. Join us for a fun evening of Carol Singing to really get you in the mood for Christmas.